Bullmastiff dogs are guard dogs which should be brought up like a family member. They are well known for their amazing characteristics and features. 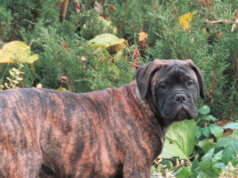 The adorable coat color can be of fawn, red or brindle color. Their health issues should be treated as early as possible. 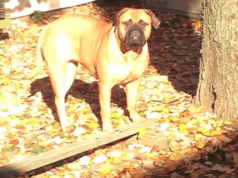 Owners of Bullmastiff dog should try to prevent their pet from the diseases and disorders. Bullmastiff dog teeth and dental care should be given special importance. Taking it for granted can invites several other issues as well. 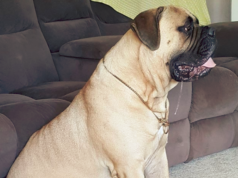 The new owners of Bullmastiff dog should be aware about How To Keep Your Bullmastiff’s Teeth Clean, How to brush your bullmastiff dog’s teeth, How to pick the best toothpaste for your bullmastiff dog, What food is best for bullmastiff dog teeth, Chew bones and chew toys to clean teeth of bullmastiff dog and When to see a veterinarian. These guidelines would satisfy all your queries and let you care your dog with extreme ease and brilliance. In order to ensure the cleaning of teeth, owners should consider brushing of the teeth with the good quality toothpaste. Regular brushing is necessary as it prevents the bacteria from grow inside the month. It removes the plaque present on the teeth. Dental caries or tooth decay are the most common issues which can be addressed properly by brushing. When it comes to the brushing of the Bullmastiff dog teeth then remember that sometimes it does not go the planned way. But, one should not lose hope merely on this. Keep on try and brush the teeth slowly and gradually. It is an odd feeling for the pet too as they are not used to it. Afterward, you would become master in brushing the teeth of your pet. Choosing the toothpaste is one of thems critical step that should be taken wisely. One should be cautious while making a purchase regarding their beloved pet. Bullmastiff dog teeth and dental care can be optimized by selecting a toothpaste having no or least chemicals in it. It should be of good quality. Likewise, the bristles of the toothbrush should be checked properly before purchasing. These should not pose any harm to the pet. The dog’s teeth health can be ensured by feeling the dog with the good quality food. The poor quality food sticks to the teeth and becomes the leading cause of tartar and plaque. Hence, it is better to prevent feeding the dog on the food having poor quality and much of the chemicals in it. Chewing is an excellent way of mouth exercise. In addition to this, it strengthens the teeth as well. The chewing habits can be improved through it. One should immediately take their pet to the vet on observing dental carries or a toothache in their pet’s mouth. Foul odor, dental caries, infection in the gums, bleeding from gums, inability to chew are some of the factors that should be addressed quickly. Bullmastiff dog care is not a piece of cake. Owners should know about it in order to assure it completely. 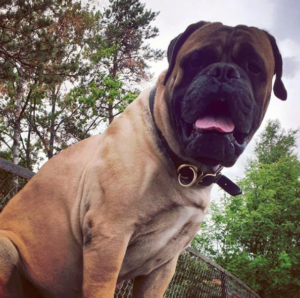 Next articleWhat is the best dog food for Bullmastiff?